1. Huddersfield are currently 18th in Premier League with three points, how has the start of the season been? Have they played better than their position or do they deserve to be 18th? I would say its somewhere in between. Apart from the game against Chelsea and Man City, every other game has turned out to be a strange outcome. We do create chances but failed to capitalize on them. And when we concede the goals, it makes the challenge even more difficult. 2. David Wagner has been at the club for a while now, how is he rated among the supporters? Is there a risk that he will be fired if the wins don´t come soon? the reason that got us here in the first place. For that alone, fans will forever be grateful to him. Our chairman Dean Hoyle has give his assurance last season should Huddersfield Town get relegated, David Wagner won’t be relief from duty. So I do believe that will remain if we do relegated this season. He is here for the long run. 3. Huddersfield signed many players during the summer window, are there any signings that has impressed so far? Any disappointments? It’s hard to say who has impressed or is there any disappointment as most of the signings have been under utilize thus far. But Isaac Mbenza and Adama Diakhaby seems to be promising so far. I feel this is just David Wagner’s way of slowly integrating them into the first team. The potential in the long run is there. 4. How would you describe the way Huddersfield plays? As you know David Wagner is the best buddy of Jurgen Klopp and both prior to arriving in England were working in Dortmund. So that should give the idea in terms of Wagner’s philosophy. Last season, we did played a high pressing which took everyone by surprise hence why we got a tremendous start. This season Wagner has kind of decided to adopt a sit back approach though the pressing is still there. We need to get back to that style of play especially against a team that also struggling in the league. 5. Which players are most important to the team this season? 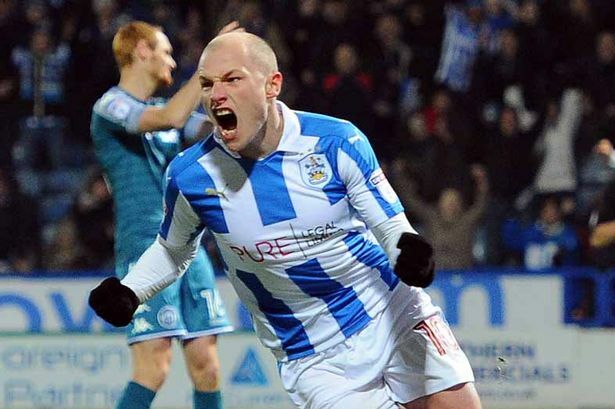 Aaron Mooy, just like last season he has been the engine that runs the midfield. His tireless play on both ends is vital to our caused for this season. Philip Billing has also improved in abundance this term. Its crucial to have both of them in the middle for us. In defense, Terence Kongolo has been vital cog of the team alongside Christopher Schindler and Matias Zanka. 6. You have only scored four goals so far, fewest among the PL-teams, what do you need to do to score more goals? We need to be more clinical up front but then again for Steve Mounie and Laurent Depoitre, we need to create chances for them. Which is why starting a player like Alex Pritchard is important because he is the only creative force of the team. Most of us were puzzle on why Wagner kept him on the bench but lately he is named in the starting eleven. If the supplies come good, the goals will come too. 7. How do you think you will lineup against Liverpool and what kind of game do you expect? Jonas Lossl; Erik Durm, Terence Kongolo, Christopher Schindler, Mathias Jorgensen, Jonathan Hogg, Aaron Mooy; Philip Billing, Rajiv Van La Parra, Alex Pritchard; Laurent Depoitre.